Long-term planning was paramount for Amtrak following the purchase of the Northeast Corridor (NEC) in 1976. Not only had the company gained vital trackage and associated properties such as stations and rail yards, but Congress had also authorized up to $1.75 billion through the Northeast Corridor Improvement Project (NECIP) to upgrade this infrastructure. Many of the impressive stone viaducts and steel bridges between Washington and Boston had been built by the Pennsylvania Railroad (PRR) and the New York, New Haven & Hartford Railroad during an improvement campaign in the early 20th century. The overhead electrical system powering trains on the southern leg had first been installed in the 1930s through a partnership of the PRR and the federal government. Once completed, the NECIP would allow for regularly scheduled rail travel between Washington, D.C. and New York in 2 hours, 40 minutes and between Boston and New York in 3 hours, 40 minutes. Track improvements were a vital part of the NECIP. On March 31, 1977, Amtrak President and CEO Paul Reistrup joined U.S. Secretary of Transportation Brock Adams and other federal and state officials along the tracks near Odenton, Md. to celebrate the start of the five year NECIP. Over the course of the year, improvements included: 40 track miles of continuous welded rail laid; 245 track miles surfaced; 171,000 ties laid; 20 track miles cleaned by undercutting; 2,868 joints eliminated or renewed; and 4 turnouts, 5,800 switch timbers and 9,000 ties renewed at 24 interlockings. With the purchase of the NEC, Amtrak finally gained trackage that it fully owned and maintained, rather than solely relying on rights-of-way controlled by private railroads. Extensive planning was necessary to ensure that the NEC and its operations were well integrated into the company, for it meant the absorption of new properties and employees from Penn Central. Amtrak developed a five year improvement plan calling for the purchase of new passenger cars and locomotives, modernization of stations and maintenance facilities and upgrades to track. Under pressure from Congress to curtail costs, Reistrup noted: “Among the policymakers in government, polarization continues between those who want more transportation services and those who promote other federal programs.” Regarding Amtrak’s efforts to be more efficient, he continued, “Every possible saving in administrative and overhead costs has been examined, and tight budgetary constraints have been applied internally…However, the amount of the savings required under the reduced budgets has been so large that we have also been forced to cut back in the quality, as well as the quantity, of services offered to the public.” These tensions between budget constraints and the desire to provide quality services were typical as Amtrak leaders grappled with how to best run the first national intercity passenger rail system. During the late 1970s, high inflation also impacted borrowing costs and the price of materials such as steel and concrete needed for the NEC improvements. A big setback for the company occurred when the initial delivery of new bi-level Superliner equipment did not arrive as scheduled. A strike at the Pullman-Standard plant in Hammond, Ind., delayed delivery of the long-distance cars until 1979. Without these new units in place, the older fleet had to be shuffled around to cover the shortfall. Revenue was also lost since the new Superliners would have required less maintenance and could hold more passengers than many of the sleeping cars and coaches they were to replace. The Turboliner maintenance center in Albany-Rensselaer. On the bright side, modernization of the single-level fleet proceeded as planned. 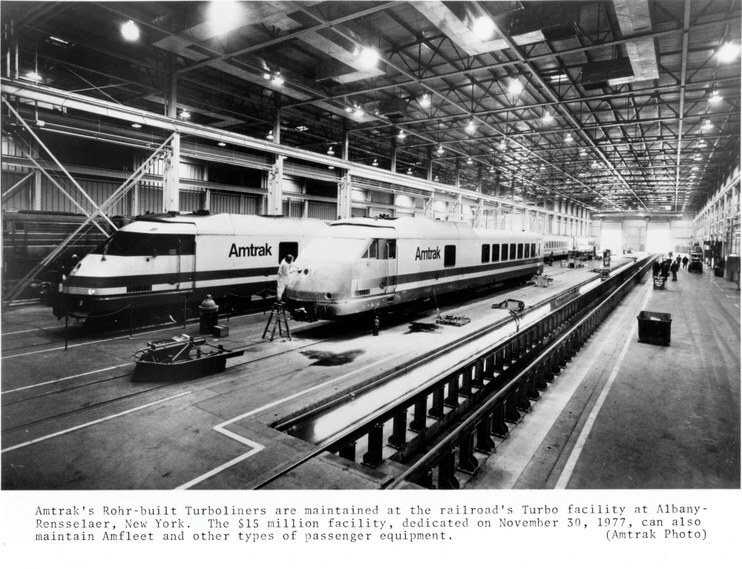 Amtrak had ordered 492 new Amfleet cars, the last of which were delivered in 1977. Configurations included coach, café and club cars. With these in place, many of the original heritage cars, acquired from predecessor railroads, could be retired. The shiny, tubular Amfleet cars, covered in ridged stainless steel, were deployed on most eastern routes. New York State chose a different path by employing the Turboliners on most of its Empire Service (New York City to Albany-Rensselaer; Syracuse; or Buffalo) trains. In December, a Turboliner maintenance facility opened at Rensselaer that included a water recycling system and a brushless car washer; the designs of both attracted the attention of the Japanese and Australian governments. Upgrades to the locomotive fleet continued with the conversions of the SDP40Fs to shorter, lighter four-axle locomotives that had electric generators capable of powering the new all-electric Amfleet cars. The Amtrak Board of Directors also approved a $20 million program to overhaul and modify 16 existing Metroliner cars. Reistrup emphasized that “modernization” was essential to improve the company’s operations with regard to reliability and route performance. Following in the footsteps of the successful Amtrak Reservation and Ticketing System (ARTS), implemented four years earlier, Amtrak inventory and personnel records systems were also computerized. In the 1977 Annual Report, the company pointed out that the former resulted in a 50 percent reduction in man-hours, while the latter allowed for better salary administration and manpower utilization. The addition of thousands of new employees from Penn Central encouraged Human Resources to write formal job descriptions that could then be used for increased objectivity during performance appraisals. 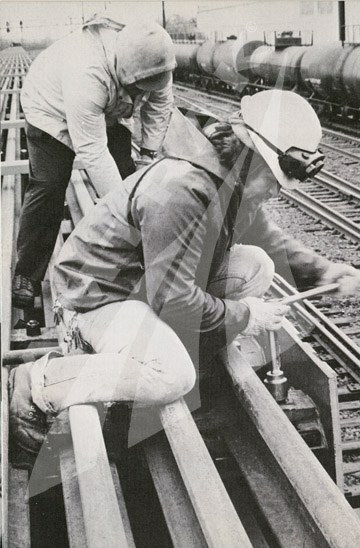 The Annual Report also proudly declared that “For the first time, Amtrak employed female employees in non-traditional jobs such as trackmen, communications and signal helpers [and] linemen….” To recruit talented, skilled employees, the Engineering department started a management trainee program for recent graduates. 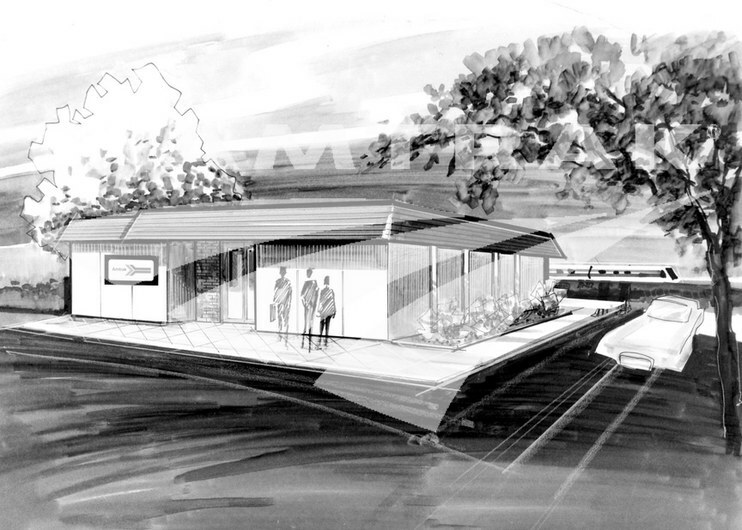 Amtrak developed new modular station prototypes in the 1970s. Amtrak actively promoted public safety efforts through the new Operation Lifesaver Program, then functioning in 11 states. It started in Idaho in 1972 to combat a high accident rate at highway-rail grade crossings. Intended as a one-time deal, Idaho’s efforts were shown to have positively changed the public mindset about how to safely interact with tracks, rail crossings and trains, and the state’s accident rate significantly decreased. Building on this success, programs were started around the country, and Operation Lifesaver, Inc. was founded as a national, non-profit organization sponsored by the Railway Supply Institute, Amtrak and the Association of American Railroads. With improvements advancing on many fronts, Paul Reistrup summed up the year: “We have proven that we can attract growing numbers of riders…[and] are convinced that if we can ever apply a combination of improvements to a route…we will erase all doubts about the sizable contribution that railroad passenger service can make to the nation." Annual Reports for fiscal years 1975-1977, National Railroad Passenger Corporation.